Time seems to fly by when you’re having fun printing… We can barely believe it, but Leeds Print Workshop is one year old. Looking back on our opening night party last October (an occasion on which we got through a truly impressive amount of beverages) it’s hard to imagine that a whole year of printmaking is behind us. The Workshop has grown a lot since then, and taking stock of what we hoped for the workshop a year ago, we can be pretty damn proud. We’ve built connections within the creative community of Leeds. We’ve gotten new equipment (keep an eye out for an update on our new Albion). We’ve run dozens of workshops to introduce new people to the wonders of printmaking. We’ve grown the admin systems to keep pace with the growth of the workshop (let’s not forget the unsung work of the administrator). 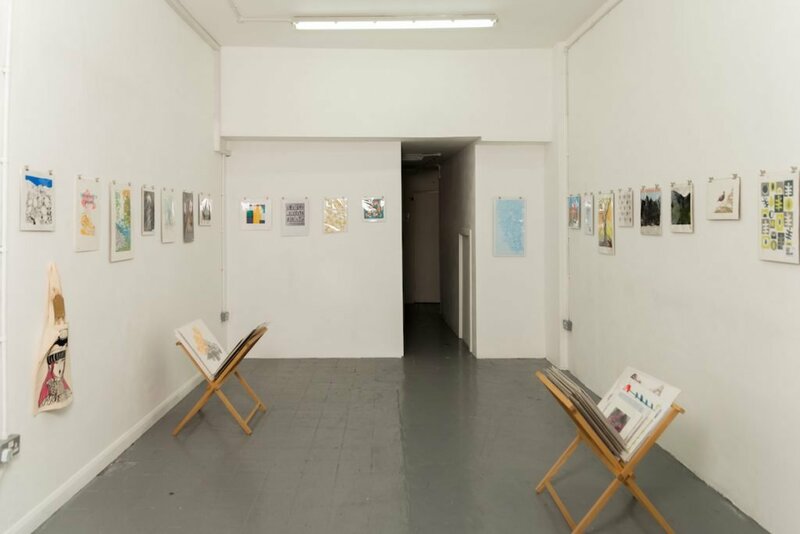 We’ve held exhibitions and taken part in print fairs and events in Leeds and beyond. And just think: how many gorgeous prints have been made here in a whole year?? Here’s to many more years of printmaking fun! Without the support of East Street Arts we wouldn’t have a building for all this to happen in so a big shout out to them too! Speaking of all the new members we’ve gained over the past year, guess how many we have now? That’s right, we’ve hit 100!! A milestone like that is really worth celebrating. That means that 100 people have signed up with Leeds Print Workshop as members, meaning that they have access to the workshop to make whatever monoprint, lino cut, screenprint, drypoint, letterpress print, or collograph their hearts desire. It means they have access to our top notch presses and printmaking equipment. We’re really proud of our members. 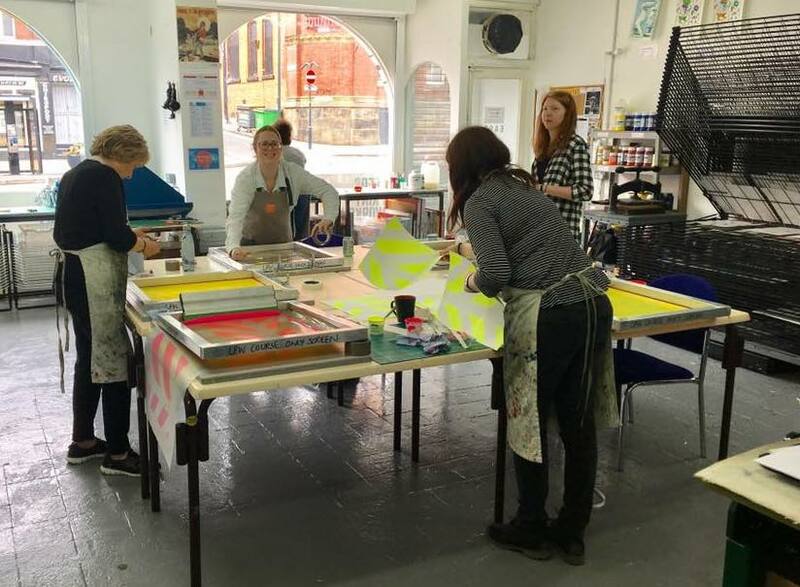 The core goal of Leeds Print Workshop is to build creative community, and our members make up that community. It’s terrific to drop in to the workshop and see members working alongside each other, trading tips and ideas, offering feedback, and keeping each other company. It’s always a lovely surprise seeing the drying racks full of the unique prints that members come up with. Membership remains at £45 per year, with £3 an hour for workshop time. We try to keep this cost as low as possible to make the workshop as accessible as we can. Folks who are interested in membership can get in touch with us at hello@leedsprintworkshop.org. Want to be member number 101?